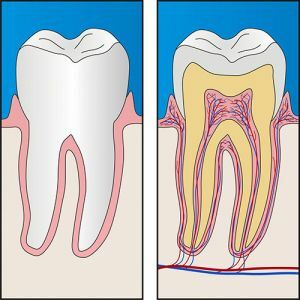 Inside your tooth is a pulp chamber and a root canal that contains the pulp tissue. The dental pulp is the innermost part of the tooth that contains the nerve, blood vessels, and connective tissue. The tooth’s nerve functions as the tooth’s sensory organ. It reacts to hot and cold temperature. Once the tooth has erupted into the mouth, the tooth’s nerve does not have much work. It does not affect the daily functions of the tooth. However, when the enamel, which protects the pulp from infection, is damaged exposing the pulp, pain is the result. The exposed dental pulp is vulnerable to microbes and temperature changes in the mouth. When this happens, a root canal therapy is needed. The dental procedure removes the pulp and replaces it with a dental filling to save the tooth from extraction. Through root canal therapy, the pain is stopped and the tooth is saved from extraction. At Forster Dental Centre, our root canal therapy is designed to keep patients comfortable and safe. We’ll make sure to make the procedure as painless as possible. The enamel is the hardest substance in the body but that does not make it indestructible. It can still be damaged leading to problems in the pulp. Therefore, any injury to the enamel exposes the pulp. The enamel can be damaged through accidents, cracks, fractures, and decay among other causes. The pulp is exposed and a toothache develops. As the infection progresses, the pulp may die. The infection can also spread to the tissues around the affected tooth, hence dental abscess and infection of the root and the jawbone. If unattended, the infection from the damaged pulp can become serious and lead to oral sepsis which can be life threatening if not treated. If the infected pulp is situated in the upper jaw, it can spread to the sinuses causing purulent sinusitis, or spread to the brain causing meningitis or brain abscess. If the infected pulp is situated in the lower jaw, it can cause complications like pericarditis (affecting the tissue surrounding the heart) and emphysema. These are just some of its life threatening consequences of an infected dental pulp. Time is of the essence when dealing with it. There are also cases in which there are no symptoms. A routine check up is necessary to ensure your teeth are healthy. To save your tooth from extraction and stop further damage to your oral health, your trusted Forster Dental Centre dentist can help you through a root canal therapy. The procedure is nearly painless and is comfortable. It provides a long lasting solution and keeps you from the pain that an infected pulp causes. 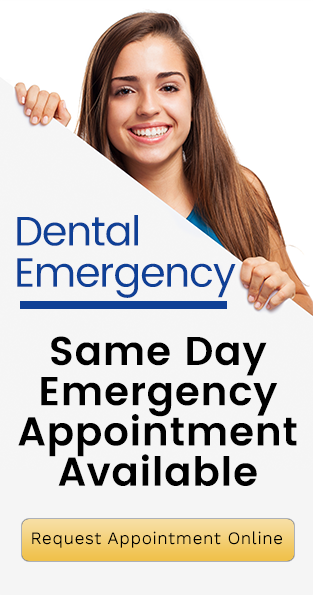 Talk to your Forster Dental Centre dentist today!